Actress Angela Lansbury was born on October 16, 1925, in London, England. Angela Lansbury is an accomplished film, theater and television actress who has been nominated for nearly every acting honor imaginable. At the very least, she has been nominated for an Academy Award, a Tony Award and an Emmy Award. This beloved actress is known by many for her role as the crime-solving mystery writer Jessica Fletcher on the long-running television series Murder, She Wrote. Not long after arriving in the United States in 1940, Lansbury scored an important film role. She appeared in 1944's Gaslight opposite Ingrid Bergman and Charles Boyer. Playing the house maid Nancy, Lansbury held her own against such established stars and earned an Academy Award nomination for Actress in a Supporting Role. She was nominated again the next year for playing Sibyl Vane in The Picture of Dorian Gray. Lansbury continued making films, including The Manchurian Candidate, which brought her a third Academy Award nomination for Best Supporting Actress. A versatile performer, she appeared in the movie musical Bedknobs and Broomsticks in 1971 and on stage in the musical productions Mame, Dear World, Gypsy and Sweeney Todd. Lansbury won the Best Actress in a Musical for all four of these plays. In the 1980s, Lansbury found success on the small screen. 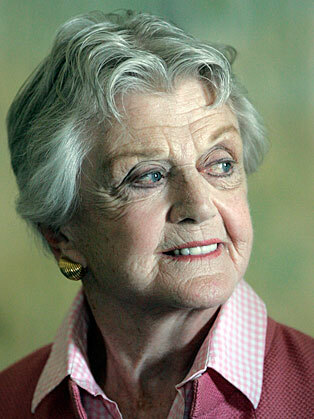 Beginning in 1984, she played the role of Jessica Fletcher in the popular TV mystery series Murder, She Wrote. As the diplomatic, kind and clever Mrs. Fletcher, she earned Emmy Award nominations in the Outstanding Lead Actress in a Drama Series category every year from 1985 to 1996. After the show ended, Lansbury has appeared in television movies including some Murder, She Wrote specials and in feature films, such as Nanny McPhee. She has also made television guest appearances. The most notable one was on Law & Order: Special Victims Unit in 2005, which earned her an Emmy Award nomination for Outstanding Guest Actress in a Drama Series. During her career, she has voiced several animated characters for such films as Beauty and the Beast. and Anastasia. In 2007, she returned to Broadway, performing in the show Deuce. Lansbury played a former tennis pro who reunites with her doubles partner for an honors ceremony at the U.S. Open. In 2009, she appeared again on stage for Blithe Spirit, a play about a man who is haunted by the ghost of his ex-wife. The performance earned Lansbury a Tony award for Best Supporting Actress in 2009. The recent win ties Lansbury with performer Julie Harris for the record number of Tony wins. Lansbury co-starred in Mr. Popper's Penguins, opposite Jim Carrey, released in June 2011. In November 2012, she hosted the PBS Thanksgiving special Downton Abbey Revisited, a documentary retrospective of the Downton Abbey television series. Lansbury and James Earl Jones starred in an Australian tour of Driving Miss Daisy, beginning at the Queensland Performing Arts Centre, Brisbane on February 5, 2013. The tour also visited Sydney, Melbourne, Adelaide and Perth, finishing in June 2013. On November 16, 2013, she received an Academy Honorary Award for her lifetime achievement at the Governors Awards. In 2014, she reprised her 2009 Tony-winning Broadway performance as Madame Arcati in Blithe Spirit in London's West End, her first London stage appearance in nearly 40 years. Previews ran from March 1, 2014 with the formal opening night on March 18. The show is scheduled to play a limited 15-week engagement at the Gielgud Theatre until June 7, 2014.Discussing this character, she asserted: "I love her. She's completely off-the-wall but utterly secure in her own convictions." While in London she made an appearance at The Angela Lansbury Film Festival in Poplar, a screening of some of her most popular films organised by Poplar Film. In 2014, Angela was honored with a knighthood from the Queen in response to her lifetime contribution to film and acting.